But far the most of them still don’t! 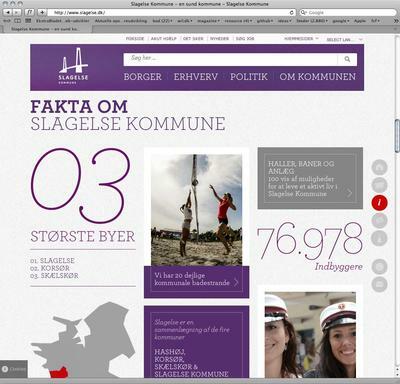 Only 22 out of 122 web sites for the danish authorities. And the majority of those are prefering free fonts. On the other hand is the number more than doubled in a year, since November 2012 when the number was 9 out of 115. The study is a snapshot that I took November 6, 2013 and covers the web sites of danish ministries, regions, and municipalities. The previous snapshot was taken November 30, 2012. Web fonts has developed fast in the past few years, and there is now a real opportunity to make typographic choices beyond the list of webstandard fonts, such as Arial, Verdana and Georgia. As a webdesigner I can get rid of the technical tricks needed get around the typographical limitations: To editors and webmasters it easier to handle content that previously had to be converted to images. Webfonts make it easier to create continuity in typographical sense between the web sites and the rest of the visual identity. And make the web site a part of the branding movement that the municipalities is trying so hard to join. With that in mind does the amount of web sites using web fonts seem a bit reluctant. And formwise does the chosen fonts seem like a neutral. Maybe it’s the free issue that is the most important criterion. 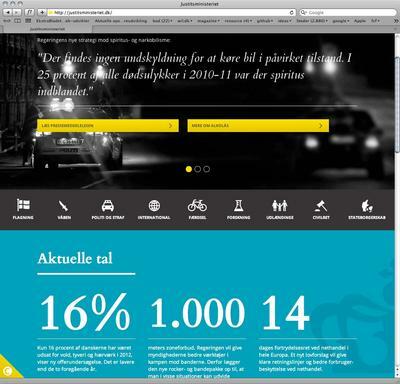 SLAGELSE.DK is using WEBFONTS. ARCHER FRA HOEFLER & FRERE-JONES. and own dingbats font. 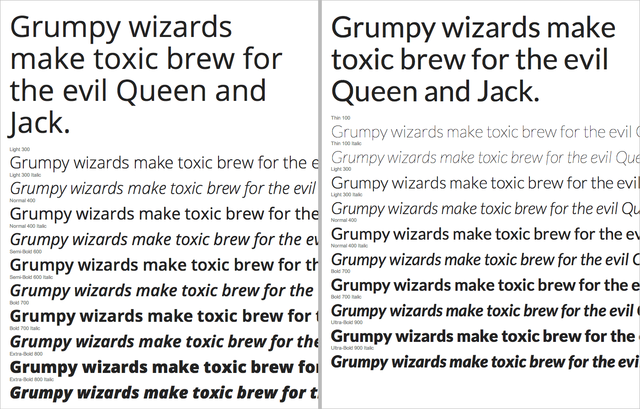 OPEN SANS AND LATO FROM GOOGLE FONTS WERE, ALONG WITH MAX (not shown), THE MOST USEd WEB FONTS in the study. Another tendency is self-hosting of the fonts. The webfont providers such as Webtype, FontShop, Typekit and Google Fonts offer the subscription model where the fonts are placed the providers’ server, which the website link to. Font technology, the font format and the browsers’ capability to exploit the font features are constantly developing, so it is definitely worth to get the newest versions. 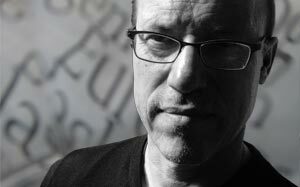 On the the tested websites are most of the Google Fonts and the one from fonts.com hosted at the provider. The remaining web fonts are hosted on own server (12 out of 21). Maybe the webmaster doesn’t feel convinced that the stability in the cloud can compete with his own server. Unfounded by the way since the web font providers in general has pretty good network performance numbers. The number of web sites using the webfonts. Most of the checked web sites use more than one font, so the number of fonts are higher than the number of web sites. Data is harvested from web site and the connected resources of the authority, and executed in a automated analysis on several parameters to the final output. Some of the web sites are checked manually afterwards, and data of a few are adjusted accordingly.